How to select a GPS tracker for motorcycle. As we all know, now motorcycle is still widely active in various countries and regions. Because a motorcycle is light and fast, motorcycles involve many aspects of our life，such as motorcycle race, police motorcycles, the leading car is generally motorcycle in a military parade, the motorcycle is the most extensive vehicle in our family especially in the countryside. With the development of The Times, many users now choose GPS Tracker for motorcycle to monitor and protect their motorcycles. 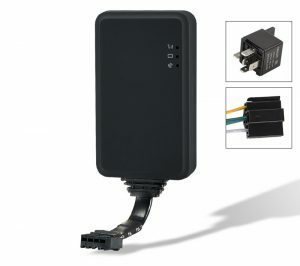 So how do we choose a motorcycle GPS tracker that works for our motorcycles? (1) First, the functions of motorcycle GPS we choose must meet our needs. (2) The price of GPS tracker for motorcycle must be reasonable. 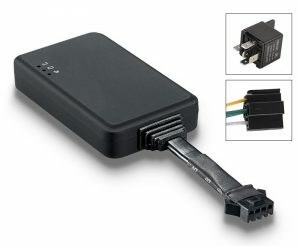 So we recommend two types of internal GPS tracker for motorcycle to you here. You can find the location of the motorcycle that installed our device on our platform anytime. If you find your motorcycle is stolen by others, you can cut the engine of a motor by our VT202. Send oil cut-off command on the platform. To make sure the security of the vehicle, GPS tracker for motorcycle can only indicate to cut off oil when GPS is invalid position status, and the speed is less than 20KM/H or in static. SMS command to the device to set the function. After the command is carried out, it will reply “Cut off the fuel supply: Success! Speed:0 Km/h”. If the command didn’t carry out, it will reply the reason about fail to carry out. When the special number cell phone dial device, ringing for 10 seconds, it will enter voice monitoring status. At this time, a caller can be monitoring the sound in the vehicle. The incoming call from non-special number will not activate voice monitoring function. And we have 3 years warranty for them. We hope the introduction of these two devices will help you to select a GPS tracker for motorcycle.